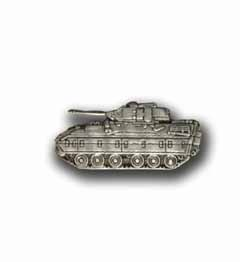 Our Army Bradley M2 A1 Tank military pin is made from the highest quality materials. This pin measures 1 1/4" and is manufactured by the company that supplies the Armed Forces and military bases. This collector pin is fully guaranteed and would make a wonderful addition to your collection as well as a great gift idea.